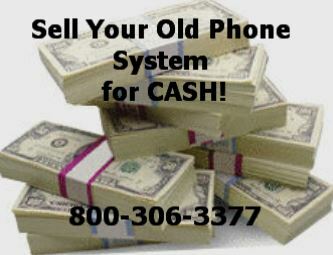 Always Call For Current Pricing on refurbished Vodavi phones, Systems and Components. Vodavi STS Series Phones- 3510-71, 3515-71, 3516-71 etc. Refurbished Vodavi phones and Circuit Card REPAIR -DON'T THROW THAT BROKEN EQUIPMENT AWAY! Let us REPAIR/REFURBISH it for a fraction of the cost! Browse our site to find the parts or components you've been looking for. Order online or call us toll-free at 1-800-306-3377 for further details about Vodavi STS, XTS or XTSe Telephones and sytems. Discover the difference in quality Craig Communications has with our stellar customer service and our products that we sell. . Our refurbished Vodavi phones will help you to significantly reduce your cost when purchasing a phones system but give you the same quality and features that you are used to. If you have a business that is looking for a reasonably prices phone system , you need to look into a Vodavi phone or a Vodavi digital phone system for your business. Call Today! We Buy and Sell The Latest in Vodavi Starplus Telephone System Equipment. At Craig Communications, we have the most popular refurbished Vodavi phones, including the SP616-12 and the 3515-71 STS Phones..We also carry the Vodavi Infinite phones and Vodavi Starplus models. Both the Vodavi Starplus and Starplus digital models are great phones for any small to medium size business and we have them for much less than standard retail prices. Call us today to find out how to save on Vodavi starplus telephone systems. Either New or Refubished, you cant go wrong with buying your refurbished Vodavi phones from Us! We have been selling Vodavi for over 15 years and our customers keep coming back. Call Today to Order your Phones.